Thanks to Kaoutar, personal trainer and diversity campaigner, for writing this piece. Warning: You might not like what you read… but this is quite possibly the most controversial topic in wellness and must be addressed – the fact that in every fitness event, and fitness brand and anything fitness related, the people that are represented are the white race. 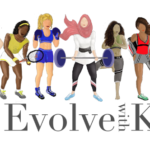 Here’s a bit about me; I’m Kaoutar, a Biomaterial Engineering graduate, a personal trainer, diversity advocate and the proud owner of EVOLVEwithK. I was born and raised in Morocco and moved to London at the tender age of 15. Living in London for the past 11 years has been great! One of the greatest things about London is its diversity! There are people from all over the world here. Different races, religions and cultures all live, study, interact and work with one another. Retaining their identity but also accepting others around them – it’s a multi-cultural capital for a reason! Now here’s the bit about my relationship with fitness! When I started university I fell in love with lifting. It helped with a lot of things some of which are my anxiety and my confidence, which I always really struggled with. I then started to go to fitness events in London and event after event, something just didn’t feel right. Naturally, living in London and being exposed to its beautiful diversity, I thought I would find and meet people who looked like me and interact with people from different ethnicities, at these events. The more events I attended, the more I realised how wrong I was – I was the only one with the hijab and there were probably only 2 or 3 other ethnic people in a vast crowd. I felt like I didn’t belong there and that maybe these events weren’t for people like me. I didn’t quite understand how big brands would put together these health and fitness events with the view to promote healthy living and not include people from different races, backgrounds and religions. I don’t believe this is ill-intended by brands but nonetheless, it is a problem that needs to be addressed. So, I purposely started going to more of these events – I wanted to understand what they were doing wrong and event after event, I eventually pinpointed the issue. Fitness brands organise events and run campaigns for their products and simply do not market it to people from ethnic minorities. Large brands rely heavily on ‘fitness influencers’ to promote their products and events, the majority of which are, to put it bluntly, white. Naturally the human race is inclined to those whom resemble themselves. At this point it all began to make sense – ever heard the saying “you attract what you are”? 1/3 of the world population is over-weight, 62% live in developing countries; that is more than 900 million people! Women have the highest rate of obesity in developing countries e.g. India, Pakistan, Indonesia, Brazil, Mexico, Egypt and South Africa. A lot of these countries are Muslim countries. Obesity is also high in developed countries e.g. China, USA and Germany. Let’s take America for example as it is one of the countries that has the highest obesity rate. According to the state of obesity, Black and Latino women have the highest rate of adult obesity, 82% and 77% of the US population respectively. Unfortunately, this dilemma does not just affect the adults, it has a direct effect on the kids; our future generation. Kids grow up watching their parents, who powerfully shape the kids’ early experience with food and eating habits therefore, are instrumental to their well-being. How does it all relate to the lack of diversity in the Health and Fitness industry? 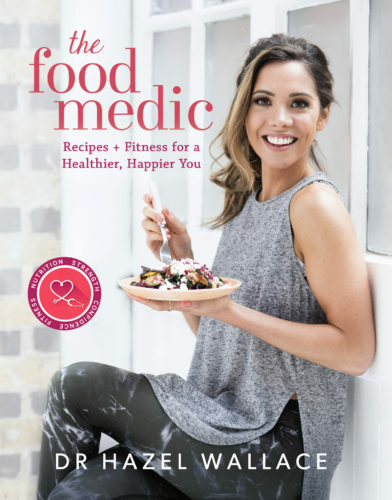 According to the statistics, it is evident that women of faith and colour are most likely to be overweight and obese, which means it makes sense for magazines, health & fitness events, and wellness and sport brands to portray representatives from different races and faiths in order to encourage and empower women to pay more attention to their health and prioritise it. What we are looking at is something most women of colour and faith would never be interested in reading; it doesn’t showcase them, it doesn’t represent them and it doesn’t relate to them. These magazines do a great job educating their readers; unfortunately, the women who need educating the most will most likely not read this. 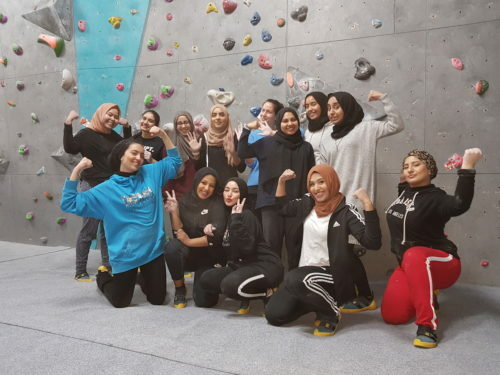 Similarly, when I used to go to fitness events I used to be the only ‘hijabi’ there (women that choses to wear a scarf around their head for religious purposes) and there probably would be one Black or Asian woman in a crowd of Caucasian women. I used to look around thinking where are women of different ethnicities and raises, it used to bother me so much that I was the only one representing the ‘others’ category. Does the lack of diversity lead to a lack of following by those who need it most? If it does, why is there a lack if diversity in the first place? Isn’t the point of the health industry to help those who need it most? If yes, why is the industry only showcasing the race that need help the least? The lack of diversity is evidently affecting our society’s health in general; it is also not encouraging potential influencers, people with a voice, people who want to make a change. The industry is not giving them similar opportunities and the platforms to share their gifts and to influence their communities. We just want equality for all people, for everyone to be treated the same, to be given the same choice. Foster good relations between different parts of the community. On the other side of the spectrum, I organise workshops and events to empower women of all faiths and colour by educating them and bringing awareness to the issue. To do the first part, I have started an agency who’s aim is to connect wellness brands with likeminded diverse fitness and lifestyle influencers and personalities to market their products in order to promote it to a diverse range of audience. We do the same when we put together press and launch events for brands. 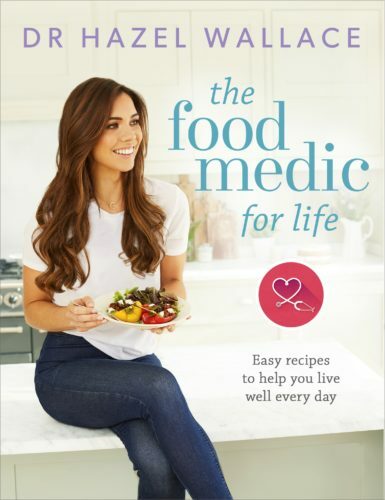 As for the second part, the plan for 2019, which is already been put to action, is organise fitness retreats mainly based in Morocco. These are to bring women together, everyone is welcome. To be seen beyond our appearance and differences. To be accepted for who we are as people. To promote love, peace, acceptance and fight hate and discrimination. Currently we are looking for hard working and ambitious ambassadors to make the campaign global and positively influence other people’s lives. We also looking for people & companies that would like us to help them make a change within their company, branding, recruitment etc. 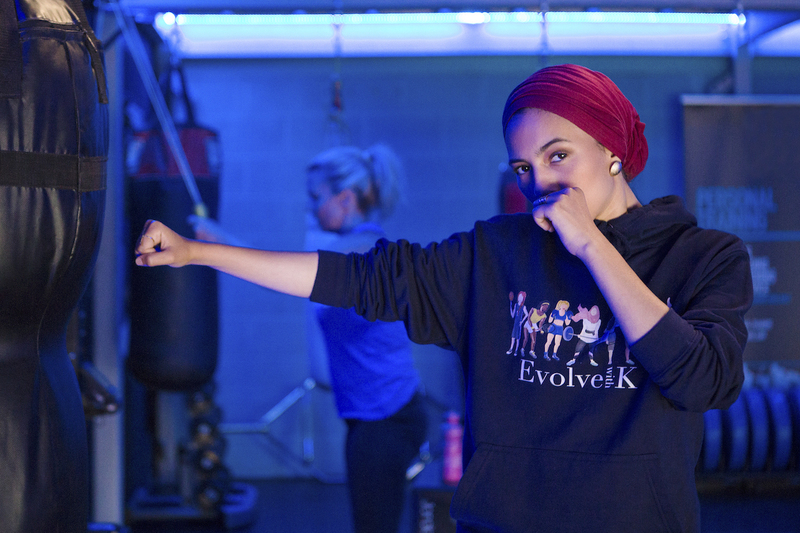 Kaoutar Hannach from EVOLVEwithK is a Personal trainer, who started a campaign to promote diversity and inclusion in health and fitness. She is dedicated and determined to bring change in the industry. Her mission is to use this campaign to inspire a generation and generate understanding of healthy living amongst women of all faith and colour.